Trafalgar offers full-service sectional title and home owners association (“HOA”) property management services across South Africa. Specific property requirements and challenges can be addressed by applying specialised and experienced teams, systems and infrastructure. Experienced portfolio managers provide a single point of communication and service delivery guided by world class service delivery as a standard. A strong focus on accurate budgeting, detailed financial management reporting and governance excellence underpin Trafalgar’s property management services. Please click here to see Trafalgar’s Sectional Title and HOA Property Management Brochure. We have collated a number of short videos, covering a range of very important sectional title and HOA management topics. These videos are targeted at Trustees and Directors, aiming to clearly and simply explain how and when important governance milestones can be achieved. Trafalgar offers a comprehensive and tested commercial property management service catering for all the management requirements associated with Commercial, Retail and Industrial property. Effective financial and facility management are Trafalgar’s priority focuses and competitive advantage, underpinned by well-established and customised infrastructure. Defining an accurate property budget from the outset and reporting a monthly performance to budget with the standard rent roll and creditors payment schedule, enables utility recoveries and variances to be tightly managed. Trafalgar is equipped to provide an executive managing agent service as envisaged in the legislative clause copied below, promulgated on the 7th October 2016. This service covers the role of Trustees where time, capacity and location for traditional Trustee involvement at the body corporate, are challenges. As stipulated, Trafalgar will cover both the role of managing agent and the board of Trustees, circulating to all owners on a quarterly basis, a full management report and newsletter, explaining the financial and facility management performance of the building together with relevant planning ahead. The overriding objectives for the executive managing agent service will be good governance, legislative compliance, facility management effectiveness and sound maintenance planning to add value to the building and individual sections over the long term. Trafalgar’s core business is the property management of sectional title schemes and homeowners associations. Trafalgar understands that the management effectiveness of a property directly affects peoples’ homes, lifestyles and the value of their primary assets, which is why we’re dedicated to providing a comprehensive and tailored sectional title management service. Trafalgar’s core business is the property management of sectional title schemes and homeowners associations. Trafalgar offers a comprehensive property management service which can be conveniently tailored to the specific needs and context of individual properties. Each property managed by Trafalgar is allocated a dedicated residential portfolio manager as a single point of entry and primary communication channel. In 2011 the STSM Act were published to become in force on a date to be announced by the Minister. The Act could not come in force before the Regulations to it have been finalized. Now finally on 2 October 2015 these Regulations have been published and opened for public comment for a period of 30 days. Should you have any queries or information requirements with which Trafalgar can assist, please submit your query and we will respond to you as soon as possible. direct, online and real-time access adds value. If An Owner Rents His Unit To A Third Party – Does He Have To Notify The Body Corporate? Can An Owner Who Is In Arrears Vote At A General Meeting? 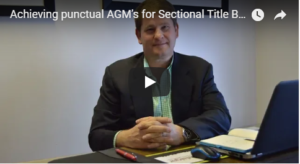 What Is The Difference Between “Full Title” And “Sectional Title”? Click here to read the answers to these questions and more.